Anime fans, another sad day is upon us. Voice actor Kouji Tsujitani, known for his roles in anime and video games, passed away on October 17, 2018 after suffering a stroke. His most prominent roles include Mobile Suit Gundam 0080: War in the Pocket (1989) as Bernard Wiseman, Blood+ (2005–06) as Solomon, Genocyber (1994) as Ryuu and best remembered as Miroku in Inuyasha. Tsujitani was born in Kodaira, Tokyo in 1962 and attended Butai Geijutsu Gakuin in Tokyo after graduating from Chiba Prefectural Akibo Senior High School. In 1983, he joined Gekidan Tōen theatrical company and began voice acting in 1988, landing the role of Bernard “Bernie” Wiseman in Mobile Suit Gundam 0080: War in the Pocket in 1989. He would reprise the role for future Gundam related media along with the roles of Seabook Arno in Mobile Suit Gundam F91 and Knight Zeta in Mobile Suit SD Gundam: SD Gundam Legend. 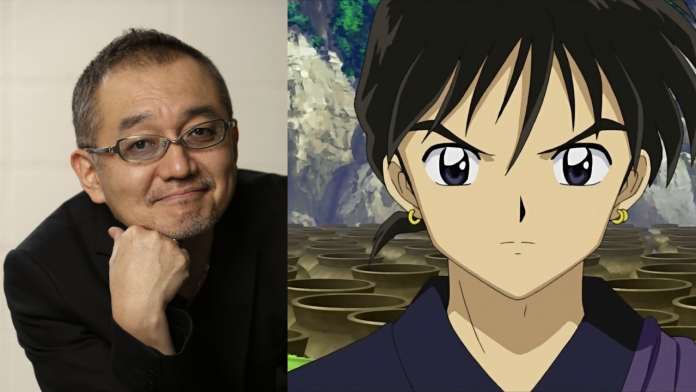 He was also Yakumo Fujii in 3×3 Eyes (1991), Noguchi in Saint Tail (1995) and Dewey Novak in Eureka Seven (2005). His most prominent role is that of the womanizing cursed monk Miroku in Inuyasha, the popular anime adaption of the Japanese manga written and illustrated by Rumiko Takahashi. In recent years, Tsujitani also worked as a sound director. He served on anime such as Gurazeni: Money Pitch, Freezing, Fate/stay night, and Shōwa Genroku Rakugo Shinjū in that role. Kouji Tsujitani was 56 years old.